The title of this article suggests a simple truth that all coffee lovers know: that all coffee isn't created equal. The difference between cheap and quality coffee has deeper implications than the differences in say roast preferences, blends, and brands. And because good coffee tastes better and is healthier (both for each one of us and the planet), it's certainly preferable to drink quality coffee rather than bad coffee — and good coffee is invariably more expensive. 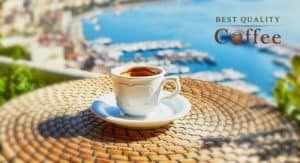 In discussing the benefits of drinking quality, we've also curated the top 3 recommended gourmet coffee brands based on our reviews. If you want to skip right to our recommendations, click here. From a nutritional point of view, coffee has fascinated health experts for centuries. As one of the most consumed beverages on the planet, coffee offers a number of health benefits that are most fully conferred when the coffee itself is processed and roasted properly. As a general rule, the more expensive coffee brands will invest more into standards of quality which in turn result in a purer and healthier coffee experience. As any coffee lover knows, it contains a magical stimulant called caffeine. In moderate amounts, caffeine not only functions as a direct stimulant of the central nervous system, increasing alertness and attention, reducing mental fatigue and acting as a mild antidepressant, but also dilates the bronchi, optimizing the respiratory capacity, and stimulates the metabolism, helping to burn fat. In addition, it is a remarkable source of antioxidants, known to improve cellular maintenance, and has vitamins and minerals. To reap the full health benefits of coffee go with brands that are committed to using only the purest ingredients. 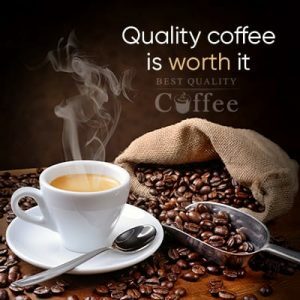 Despite being subject to quality control mechanisms, regular coffee is simply not held to as a high a standard as premium / gourmet coffee products. Most of the time standard coffee is sold pre-ground and heavily roasted, in order to mask defects. The flavor of cheaper coffee may be assertive but it's can also be noticeably flat and bitter. On the other hand, the premium coffee production generally receives greater care and attention amounting to a purer, fresher product that's practically defect-free. Coffee processing that adheres to higher standards translates into a richer, smoother, and more distinct flavor that's truer to its origin. Some regular coffee producers use mechanically harvested beans that are stripped from the branches regardless of their ripeness stage, along with flowers, stems and little stones. 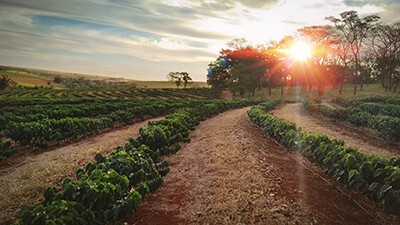 Some corner-cutting practices even have producers of pre-ground blends including filler material in their final product in order to reduce costs. Premium coffee beans are frequently harvested by hand at ideal stage of ripeness, and selected at the origin in order to discard impurities. Then they are carefully dried and, in most cases, delicately roasted, which allows them to conserve more of the essential oils they naturally contain. The end result is a brew that has a better balanced body with a wider and more pleasant bouquet. The proof is in the process. But the differences between cheap and quality coffee aren't limited to just the product itself. Coffee certified by entities like The Rainforest Alliance, Fairtrade International, and UTZ is cultivated according to rules defined to help preserve the environment through sustainable production. This includes everything from eliminating the use of harmful pesticides and fertilizers to integrating forest ecosystems into plantations to preserve animal habitats. Then there is the human factor. By setting a minimum price to be paid for their coffee, regardless of market pressures, these organizations help farmers to have bigger and safer income streams, thus becoming less vulnerable to poverty. This is often complemented by other development programs that bring noticeable improvements to the farmers' lives. In my experience, coffee companies that care almost always produce better coffee. To some, the benefits of drinking quality coffee may not outweigh its extra cost. And that's totally understandable. But for me, there was a time in my coffee-drinking history when I wouldn't pay the extra simply because I didn't appreciate what it meant for both me and others. when I take all of the far-reaching benefits into consideration, you're really spending a few extra dollars for better taste, better health, and better environmental sustainability. Premium quality coffee from selected, traceable sources will almost always be more expensive than the regular coffee. But as this article has hopefully shown, it's still clearly worth it. Out of the Grey Coffee is one of our top choices for premium coffee brands that are worth every penny. They are a custom small-batch organic Fairtrade roastery that produces some of the most amazing coffee we've come across. We could go on for a while about the impressiveness of this coffee, but it's covered in our Out of the Grey Coffee review. Lifeboost Coffee is another premium coffee gem that makes our listed of recommended gourmet brands. 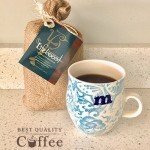 Lifeboost Coffee has created a brew that teems with a very robust and exceptionally clean flavor. This uniquely “clean” flavor is achieved by literally sourcing only the best of the best ingredients. Check out our full Lifeboost Coffee review for more info. Njoga Coffee is Kenyan coffee at its finest and it bares a quality and richness that's unmistakable. If you're looking for genuinely authentic Kenyan coffee then Njoga's deep and smooth flavor will make a good match for your pallete. For more information, check out our full Njoga Coffee review.